Pope Francis delivers his Sunday Angelus prayer from the window of the apostolic palace overlooking St. Peter's square on Aug. 30, 2015 at the Vatican. 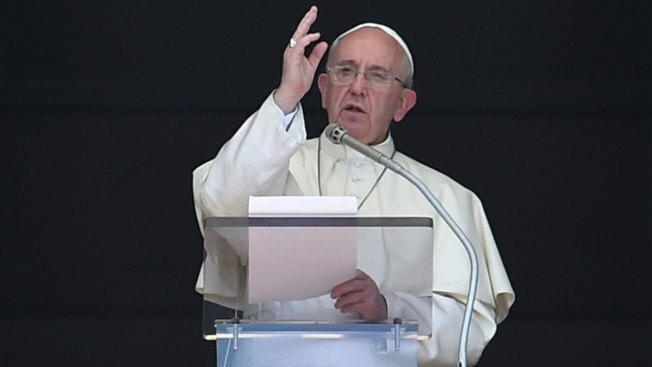 Pope Francis declared Tuesday he is allowing all priests in the church's upcoming Year of Mercy to absolve women of the "sin of abortion" if they repent with a "contrite heart." The pontiff said having an abortion is "an existential and moral ordeal. I have met so many women who bear in their heart the scar of this agonizing and painful decision." The comments draw on Francis' decades of pastoral experience with rank-and-file faithful in his native Argentina.